Spring has definitely sprung here in the Pacific Northwest with all the beautiful flowers and green leaves so it only seems fitting to participate in one of Lisa of Pine Ridge Treasures' challenges. Lisa sent me quite the collection of sea glass, crystals and pewter from ZNet Shows to work with. I was stumped by this challenge however until I started digging through my own collection of focals as I wanted something lightweight that would go great with a sundress. 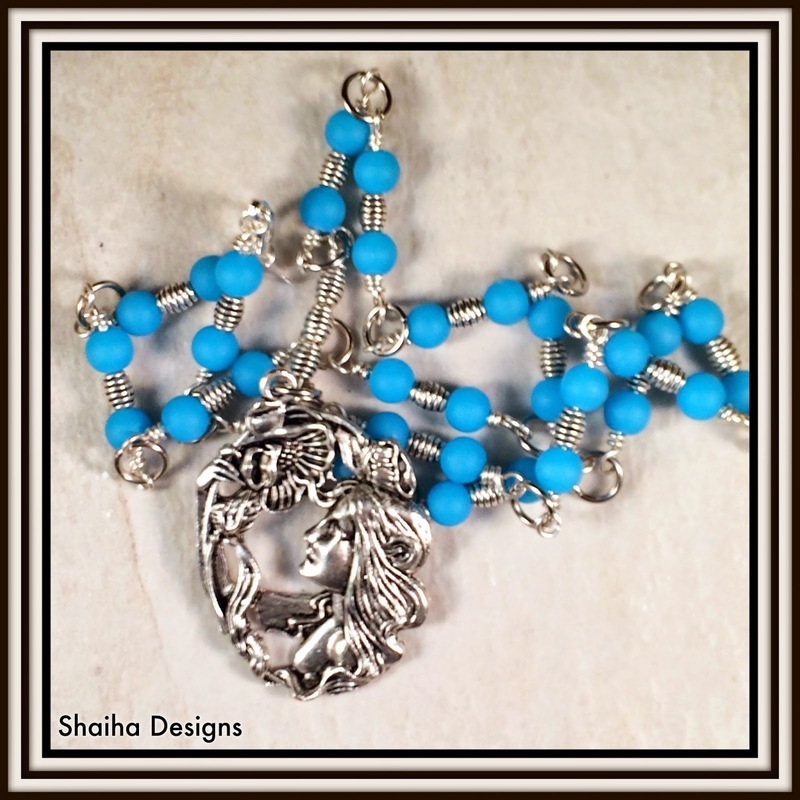 I ended up pairing a spring goddess focal with that beautiful blue sea glass and the pewter. 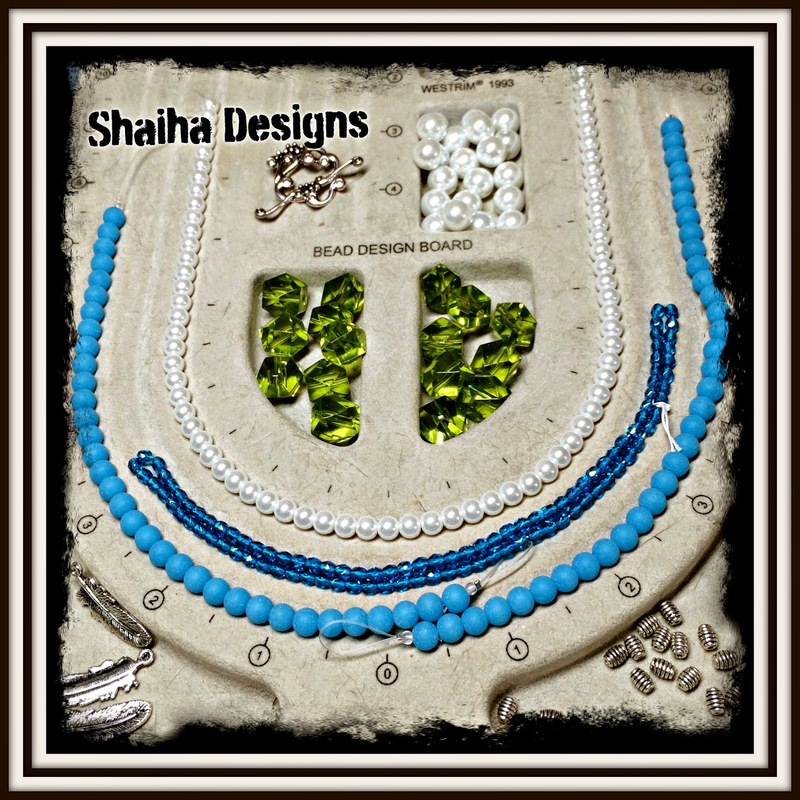 I tend to be partial to beaded chains and find they are so relaxing to make. 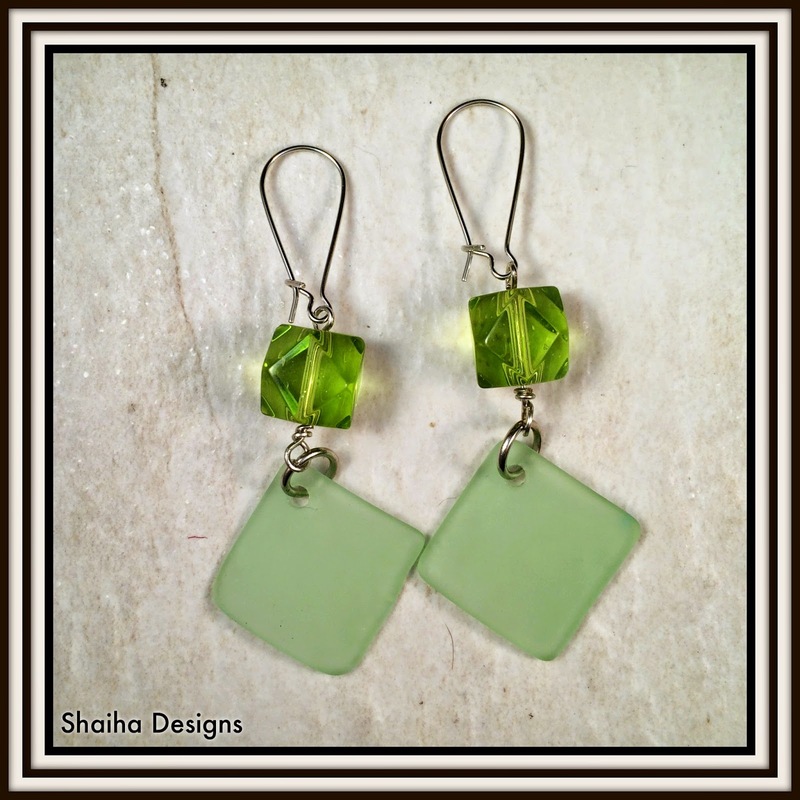 And since I just loved that glorious green crystals that were sent, I ended up using some to make a pair of earrings. The color of the greens remind me of spring leaves as they are just opening. These will do donated to Ears to You. 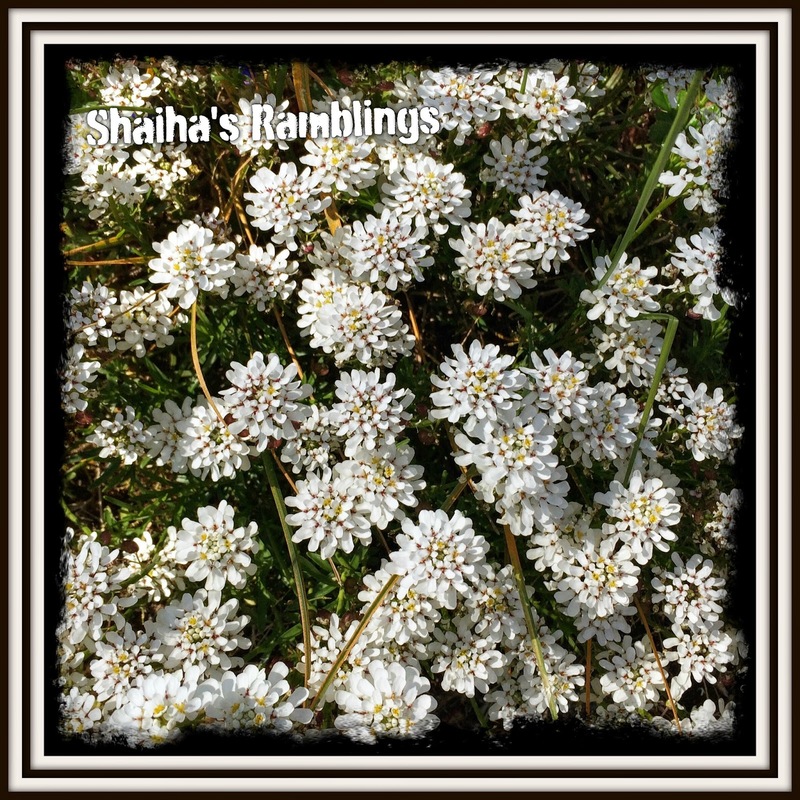 So very impressive, Shaiha! I adore your necklace and the earrings are fun too! They are perfect for spring and summer!